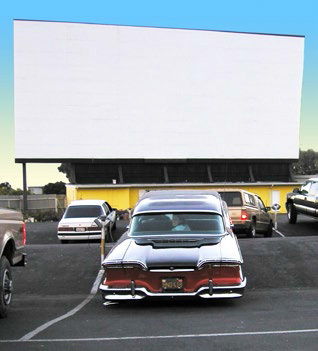 Both sides of the movie screen at the Sunset Drive-In, a go-to place in San Luis Obispo known for its $8 double bills. After decades of drive-ins falling, Maniscalco says, "The bleeding stopped at about 360 [theaters], and now that number is inching back up...Every year, two or three reopen." "There's been sort of a renaissance in drive-in theaters, and I think we had a big part in it," he claims. "Other drive-in theaters saw what was going on here. They were seeing that we were beating regular theaters." While his numbers overstate industry consensus of the current total nationally of 324, there's no doubt that some elements have led to a comeback at the drive-in. This includes some remarkable examples in California, including the West Wind Santa Barbara Drive-In in Goleta. Maniscalco relates with unbridled satisfaction the story of a now-52-year-old theater that was closed for two decades until a Santa Barbara teen rented it in 2009 for a party to screen 'Ferris Bueller's Day Off' for friends. "After that, someone started a Facebook [petition] to reopen the drive-in. Within about three days there were 9,000 signatures on it," he recalls, noting that it led to a grand reopening in 2010 attended by celebrities like Oprah Winfrey and Rob Lowe. Other notable reopenings occurred—after 22 dark years, at the Paramount Twin Drive-In (formerly the Roadium) in southern Los Angeles County in 2014; and, after two years, at the Solano 2 in Concord, where Maniscalco says there were "lines all the way back onto the freeway when it reopened" in 2007. Today, there are 17 California drive-ins in an area extending south from Lakeport to Imperial Beach. There were 18 before Red's Crescent Drive-In in Crescent City closed after 56 years in 2015. For the rest, the future is anyone's guess. 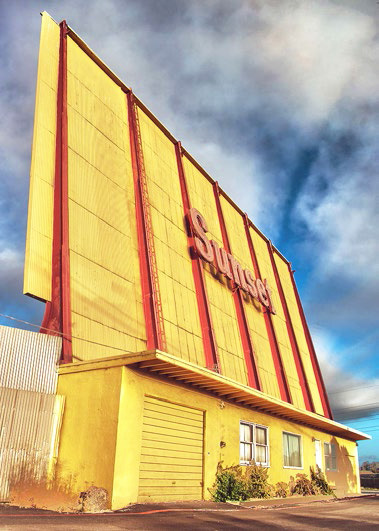 "I don't see it going away, but you never know," says Maniscalco, noting that business is brisk at all seven West Wind drive-ins, at least in summertime. Then again, he concedes, "Hulu [at-home movie streaming] may usurp everybody. You never know." "Sometimes during the summer, the most well-attended and highest-grossing theaters have been drive-ins," notes industry spokesman Patrick Corcoran, predicting, "As long as there are movies and dedicated theater owners, you'll continue to see drive-ins." "It won't be a nostalgia thing anymore," says Stu Megaw, predicting a rosy future for the drive-in. "It'll just be the way you want to take your family out." "Going to the drive-in is such a distinct memory for everyone who's ever done it," writer-director April Wright recently told Digitalcinemareport.com. "It's not just about the movies, it's about having an experience with the people you're with." Still, after the hard times of the latter 20th century, one fears the possible prescience of film critic Richard von Busack, who observed sadly, "Only when the last open-air movie palace closes will we understand how strange and beautiful drive-in theaters really were."